Happy Monday! I have a fun collaboration for you and a Giveaway! 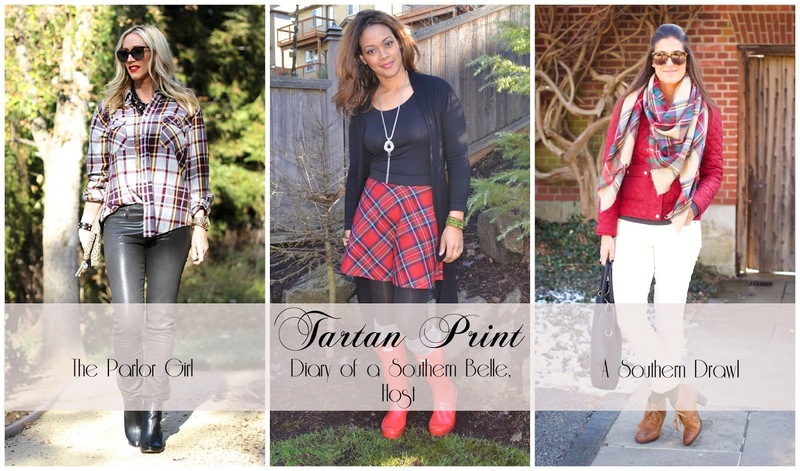 Today I am teaming up with two gorgeous ladies, Candy from Diary of a Southern Belle and Grace from A Southern Drawl to show you how all three of us have styled an item of Tartan/Plaid print for $30. This is the kickoff of a fun new series that Candy has created to show you all how 3 bloggers style an item 3 ways for $30 or less. I just love Candy's tartan skirt paired with all black and her adorable Hunter Boots that I might add are amazingly monogrammed! Um yes please!! Grace chose a beautiful scarf to add pop to her outfit, in which I am a huge fan of winter white. Ahh aren't they both adorable. My outfit looks like I wore the same thing two posts in a row! I promise I did not as we shot these pics a couple weeks ago so we could get all the logistics arranged for our lovely collaboration today. Here is my gorgeous JC Penney men's flannel again. I paired mine with my Paige coated denim that look like leather pants but are way more comfortable and black wedge booties. 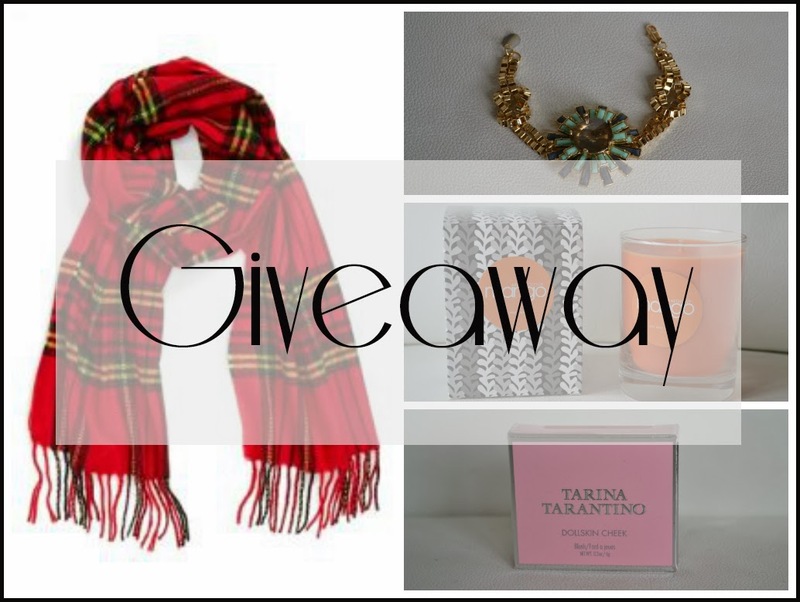 Our prizes for the giveaway are a Nordstrom Tartan Print Fringed Scarf, Rumor Boutique Starburst Bracelet, Archaeology Mango Soy Candle and a Tarina Tarantino Dollskin Blush. That is some fun stuff!! Be sure to enter the rafflecopter below for your chance to win! Wow what a great giveaway! Fingers crossed.